Notice no second floor, Can anyone put a date on this. Submitted by RobinDSouza on January 29, 2009 - 7:38am. When I joined St Stanislaus in the Third Standard (3C) in June 1952, the second floor was already built and must have been there for ay least the preceeding 5 years. The Coconut Palms behind the Building were on the property of Master Gregory ??? who taught at the school and also ran the tuck shop in the Assembly Hall. 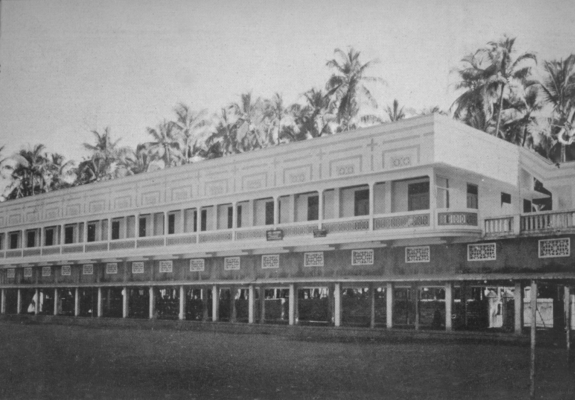 The School bought the ground (excluding his house which fronted the road to the rear) from Master Gregory sometime arounf 1954 and cut down all of the Coconut Palms. I can remember eating the tender growth shoots from the tops of the felled trees which were considered to be something of a delicacy! The grounds were then opened up to the school at recess times as additional play areas to the main grounds in front of the school.